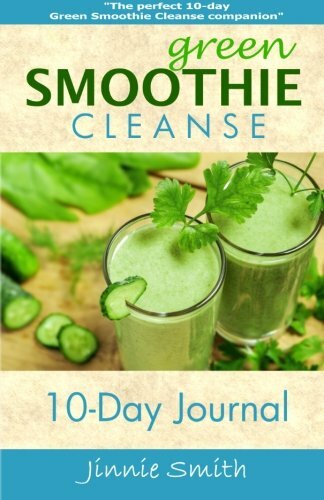 If you are going through the 10-Day Green Smoothie Cleanse, then the Green Smoothie Cleanse 10-Day Journal can help you stay on track each day of the cleanse. Completely free of fluff and filler, this journal helps you track the basics of what you need each day: – Detox tea; – Smoothies; – Fruit/veggie snacks; – High protein snacks; – Water; – Healthy dinner (if doing the modified cleanse) If your goal is to successfully complete the green smoothie cleanse, then this journal just might become your best friend for the next 10 days. Green Smoothie Bible: The Complete Smoothie Cleanse Guide: Are Green Smoothies Really Good For You?